We have an emergency with Misty | Buck Brogoitti Animal Rescue, Inc.
Our poor Misty has some sort of affliction. She isn’t putting weight on her rear left limb and has been in the same spot all morning. 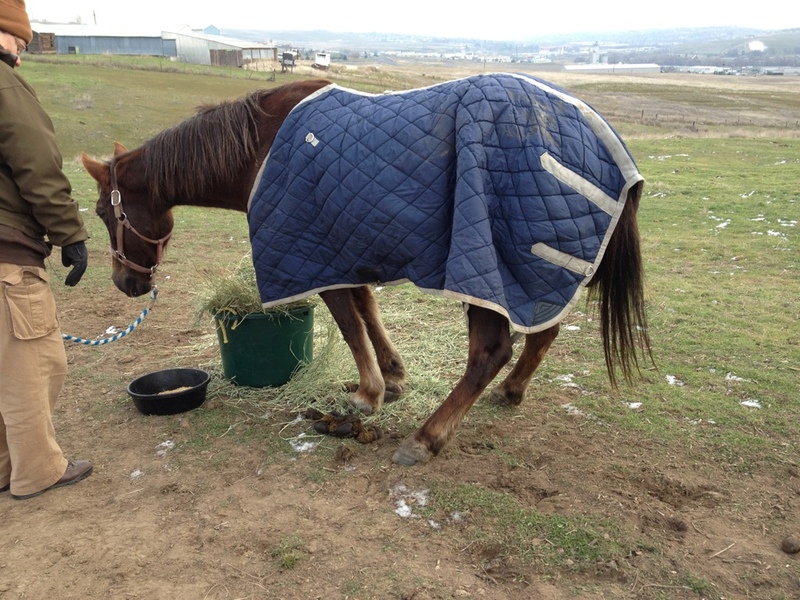 We brought her out some hay, oats, a blanket, and some water. The vets are in the way right now. Let’s hope she isn’t in too much pain and we get her fixed up in no time.